The digital marketing industry is broad and complex. With so many different digital marketing trends to follow, tactics to try and technology tools to consider, every online marketing professional always has more to learn. One of the best ways to continually learn more—and always know it’s good, useful information—is to follow the work of some of the top, highly respected digital marketing influencers working today. Digital marketing is an industry full of smart, creative minds, which means that anyone who manages to rise to the top of the field and gain real influence is doing impressive work we can all learn from. To strengthen your own skills and increase your marketing knowledge, keep an eye on these impressive digital marketing influencers. Content marketing continues to grow in use and influence—nearly 90% of B2B marketers are using it, and it claims a high budget share in many B2B organizations. It’s therefore natural that our list of digital marketing influencers includes a number of professionals who specialize in helping followers create great content and put it to good use in getting results. 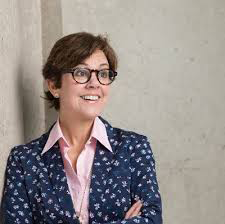 Ann Handley is the Chief Content Author of MarketingProfs, author of the books Everybody Writes and Content Rules, and a popular speaker at marketing conferences and events. 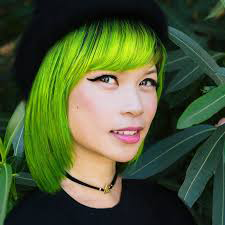 Her content and presentations are full of practical advice on writing and connecting with your audience, always delivered with a unique personality and sense of humor. For anyone who writes (which, as her book title suggests, is really all of us), she’s an important digital marketing influencer to pay attention to. Tyrona Heath is the Global Lead of Market Development at LinkedIn, as well as a keynote speaker and inbound marketing specialist. 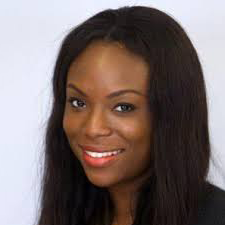 She leads courses and workshops to help inbound marketers learn best practices, and does important work to help support and raise up other women of color in the digital marketing industry. Amanda Todorovich is the Senior Director of Content Marketing at Cleveland Clinic, a hospital with a reputation for doing outstanding content marketing. Her work earned her 2016’s Content Marketer of the Year award from the Content Marketing Institute and got our attention far enough back to feature her on our blog in 2014. She speaks about content marketing at conferences and has granted interviews on the subject to marketing blogs around the web. 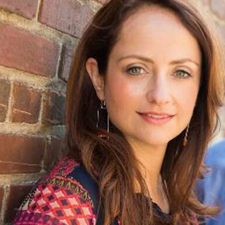 Another digital marketing influencer with a big personality, Margaret Magnarelli is the VP of Marketing at Monster.com. She’s a popular speaker at marketing conferences and brings plenty of digital marketing wisdom with a side of snark to the stage (she’s even listed under the word “snarky” in the dictionary). She speaks and writes about using psychology and empathy to produce better content marketing and has been featured in Forbes, Inc, and Fortune. 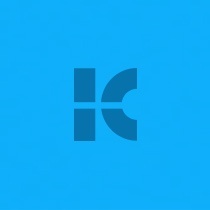 Kira Mondrus is the CMO of QASymphony and frequently speaks about content marketing at conferences. She’s also been featured as a content marketing expert in articles, on podcasts and in webinars. Based on her experience with a range of companies, she provides insights on demand generation, marketing analytics and improving the customer experience. 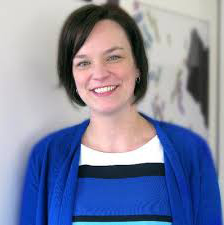 Monica Norton is the Senior Director of Content Marketing for Zendesk. 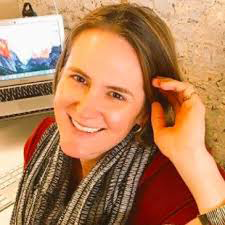 She’s been featured on MarketingProfs, Business2Community and the Content Marketing Institute blog talking about how to be successful in content marketing, in particular how to create a branded publication like ZenDesk has done with Relate. For many B2B businesses, social media is one of the hardest parts of doing digital marketing well. It’s constantly evolving, and every day brings both new social media networks that you have to learn and changes to the familiar ones that you have to adapt to. Following some of the best digital marketing influencers in the social media space can help you stay on top of all the most important info you need, the moment you need it. 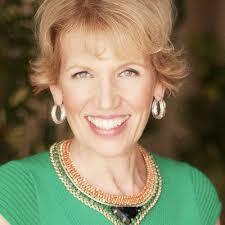 Mari Smith is widely considered one of the top Facebook experts in the world. She’s a social media consultant, speaker and author of The New Relationship Marketing. She provides valuable social media tips on her blog and also offers in-depth training to companies on how to get the most out of Facebook marketing. 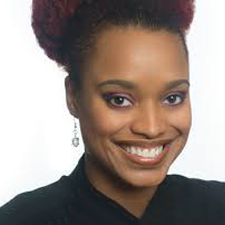 Crystal Washington is a marketing strategist, speaker and author of One Tech Action and The Social Media Why. She’s worked with some of the biggest companies in the world to train their staff on how to use social media for business. She provides social media advice on her blog, as well as online courses to help busy professionals get more out of their marketing. 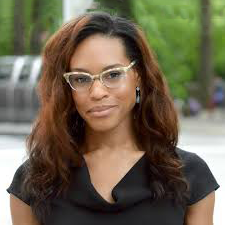 Andrea Jones is a social media strategist and host of the Savvy Social Podcast. She offers social media training and services. In addition to running her own podcast, she’s also the founder of Social Media for Podcasts, which provides resources and services for podcasters wanting to grow their audience. Goldie Chan is the owner of Warm Robots and a social media consultant who’s been called the “Oprah of LinkedIn videos.” She was named a LinkedIn Top Voice and regularly speaks at social media conferences on successful personal branding and getting the most out of LinkedIn. So much of digital marketing comes back to Google. You can’t have a digital marketing strategy without considering how search engine optimization (SEO) fits into it. And SEO is a notoriously tricky and fast-moving field. To get all the most important SEO knowledge you need, keep these digital marketing influencers on your radar. 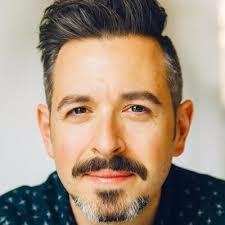 Rand Fishkin is one of the most trusted names in SEO. Currently running the SEO software company SparkToro, he inspired digital marketing professionals for years with his content at Moz, particularly his Whiteboard Friday series that consistently tackled common SEO questions. He continues to provide insights about SEO in the content he produces and presentations he gives at events. Purna Virji is Microsoft’s senior manager for global engagement. She regularly speaks on search engine marketing at conferences and events, and also writes for publications such as Moz, Search Engine Journal, and SEO Round Table. Her work looks in particular at the intersection of search marketing and AI to help marketers understand what to expect from the future of digital marketing. 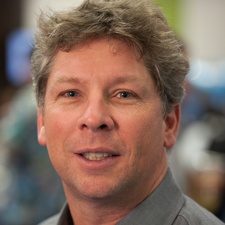 Danny Sullivan is an SEO expert and journalist who was the Founding Editor of SEO mainstays Search Engine Land, Marketing Land and MarTech Today. While he’s retired from running those popular publications, he’s still active in the search engine marketing space, partnering with Google to help people better understand how the search engine works. He’s been working in the SEO field for longer than most and is one of the go-to voices for better understanding search engine marketing (SEM). A lot of digital marketing today depends on having the right technology. While much of marketing focuses on creativity, understanding the more technical side of marketing as well is increasingly important. These digital marketing influencers do a good job of helping digital marketers (even those who are more right brained) better understand marketing technology. 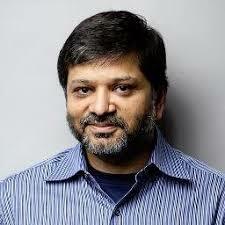 Dharmesh Shah is the co-founder and CTO of HubSpot, one of the most influential brands in the inbound marketing space. He co-authored the books Inbound Marketing: Get Found Using Google, Social Media and Blogs and Inbound Marketing: Attract, Engage, and Delight Customers Online. He writes about inbound marketing and running a startup around the web. 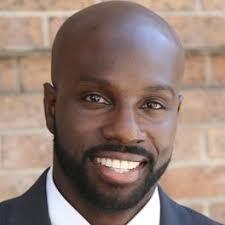 Christopher Penn is the co-founder of Trust Insights and a popular keynote speaker at marketing conferences and events. His specialty is bridging the gap between the creative side of marketing and the technology marketers need to get better results. In particular, he covers data analytics and AI/machine learning in his work. 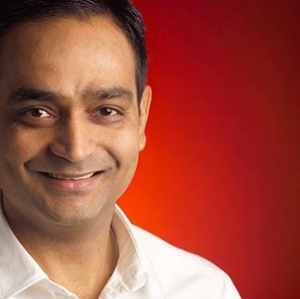 Avinash Kaushik is a Digital Marketing Evangelist for Google and the co-founder of Market Motive, a company devoted to digital marketing education. He’s also the author of Web Analytics 2.0 and Web Analytics: An Hour a Day and runs a blog, Occam’s Razor, that provides insights on marketing analytics. To learn how to use your analytics to improve your results, he’s one of the best digital marketing influencers to follow. In addition to the categories above, there are a number of digital marketing influencers who either focus on more niche specialties or take a more general approach to digital marketing in their work. Here are a few more digital marketing influencers to keep your eye on. Pam Didner is a speaker and consultant specializing in helping businesses get sales and marketing to work together for better results. 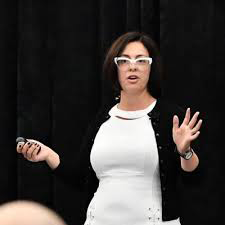 She’s written two books, Global Content Marketing and Effective Sales Enablement, speaks at conferences and events around the world, and provides training and courses to B2B business to help them improve their content marketing and sales enablement efforts. Dara Treseder is the Chief Marketing Officer for GE Business Innovations and a regular speaker on technology and marketing at events and conferences. She’s contributed to publications such as AdAge and Adweek, sharing her insights on different areas of digital marketing. Andrew Davis is author of the book Brandscaping and one of the most popular digital marketing speakers in the world. He brings his background running and selling a digital marketing agency, as well as working in entertainment (most notably for the Muppets and NBC’s Today Show), to share valuable insights on how to get your audience’s attention and connect with them. 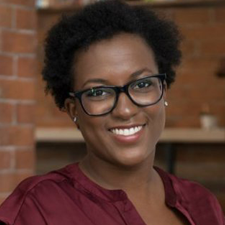 Juntae Delane is the Founder of Digital Branding Institute, which provides training and coaching to businesses to help them create a successful strategy for branding themselves online. 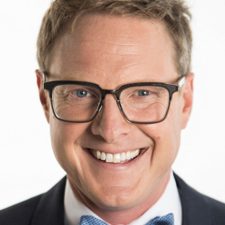 He’s also a keynote speaker who appears at conferences and events around the country to talk on a variety of topics related to digital marketing. He shares insights on his blog and as the host of The Digital Branding Podcast.